Chieshe has reportedly told the detectives that the money was collected in instalments from her by her Coordinator, Mr. Samuel Umoru. The eagle seems to have closed in on the snake that allegedly swallowed a whopping 36 million naira from a JAMB office. The Economic and Financial Crimes Commission, EFCC has smashed a syndicate that specialises in diverting funds from the account of the Joint Admissions and Matriculation Board, JAMB. 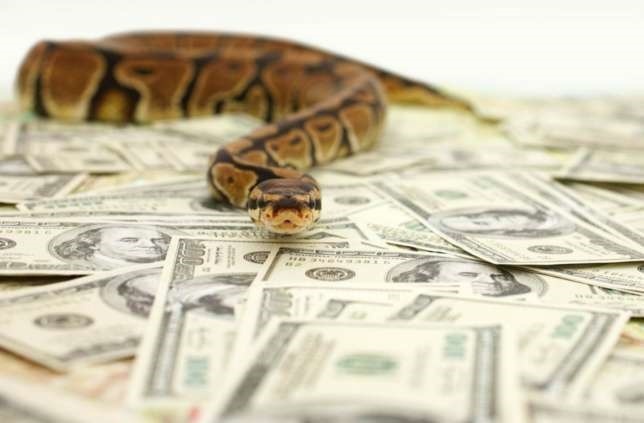 The EFCC also grilled a JAMB official based in Makurdi, Philomina Chieshe, who was the first to make the outlandish claim that a snake swallowed 36 million naira - part of the proceeds of the sale of scratch cards. Chieshe is now cooperating with detectives at EFCC on the investigation and it appears she has been making useful revelations. Chieshe has reportedly told the detectives that the money was collected in installments from her by her Coordinator, Mr. Samuel Umoru.